All of my posts so far for The History Girls have been about some aspect of the history of the Meon Valley in Hampshire, the setting for my series of historical novels. I undoubtedly have more to share about the Meon Valley, but I thought that, today, I would offer something a little different. At home, I have a small collection of mediaeval coins – fourteenth century coins, to be precise, the time period of my novels. 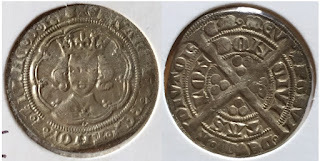 Although I have had them for a while, I have never really taken the time to examine them, to understand their markings or even to discover much about fourteenth century coinage. So, I thought I would take that time, and then share what I discovered. All the coins are “hammered”, that is, struck by hand between two dies. “Milled” coins, where the coins were struck by dies in a coining press, were only fully introduced at the start of the reign of Charles II. 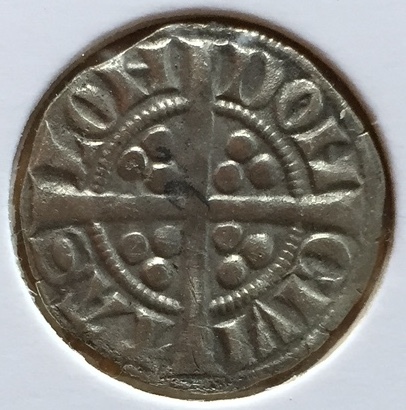 Short cross silver penny of King John, 1205-1207. Edward I succeeded his father while away on Crusade in the Holy Land. Coin production had to continue while the new king made his long journey home, and long-cross pennies – still inscribed with his father’s name – continued to be produced. But Edward began to realise that English coinage needed to be improved to assure public confidence, and he also needed larger and smaller denominations. 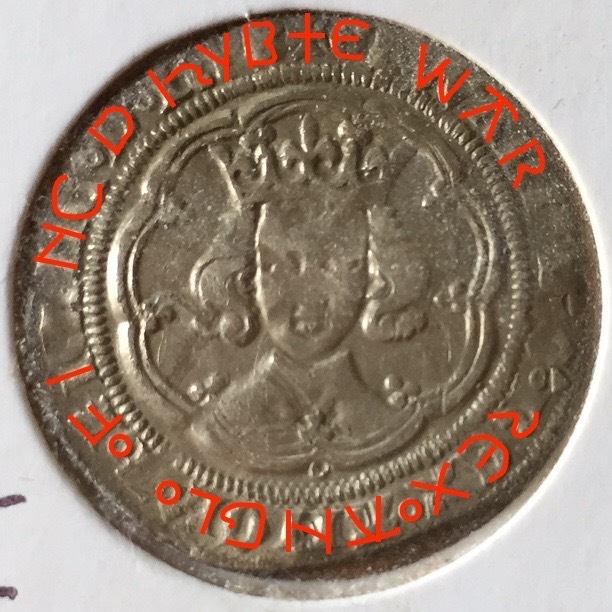 A completely new coinage was struck in 1279 with a different design that made clipping much easier to detect. The strong, good-quality coins strengthened the economy and helped bring prosperity to the country. Edward’s 1279 penny had a slightly different style from earlier pennies. On the reverse, the “voided” long cross (a cross with a channel along its arms) was replaced by a solid cross, a design that continued until the Tudor period. 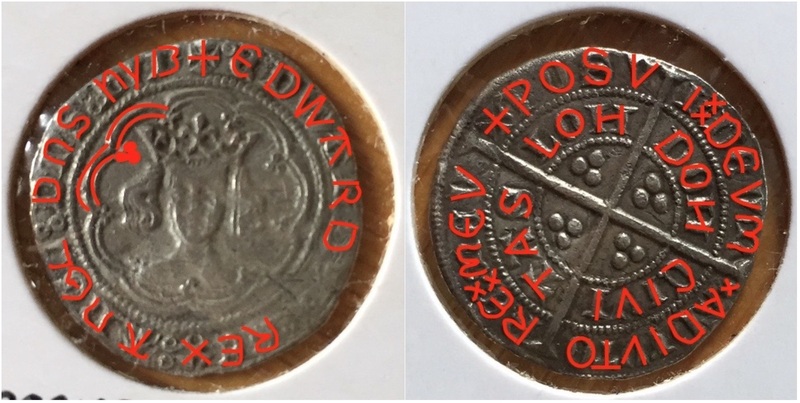 The lettering on the obverse of Edward III coins varies slightly. 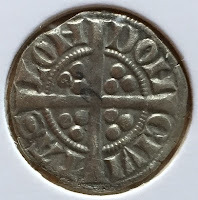 In the early coinage of Edward III, Ns are shown as “n” rather than “N” – as in AnGL and DnS above, though on the reverse it is still “N”, as in LONDON. 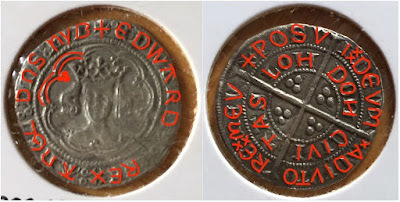 The king’s name too varies, from EDW and EDWA, right through to EDWARD or even EDWARDUS, depending on how much other text is required on the coin. 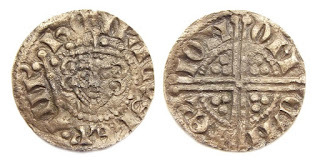 Edward III had four coinages during his reign, the first three relatively insignificant, but the fourth (1351-1377) was by far the largest and the politics of the period affected the wording on many of the coins minted. 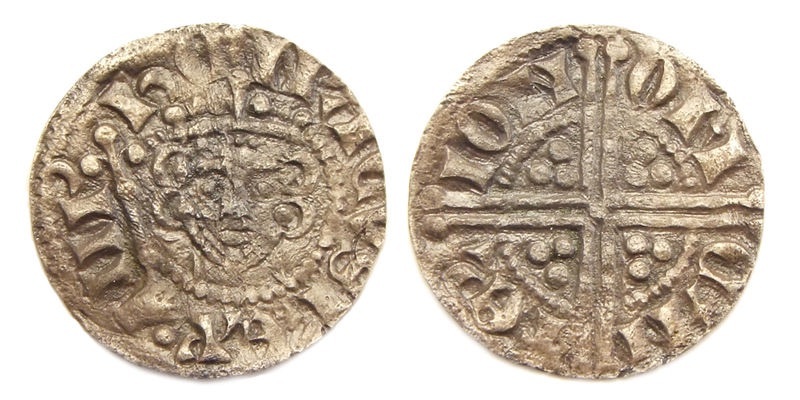 This fourth coinage is divided into three periods based around the Treaty of Brétigny, which was signed between England and France in 1361: pre-treaty (1351-61), treaty (1361-9) and post-treaty (1369-77). They are differentiated mostly by the wording of the obverse legend. Edward claimed the throne of France so, in “pre-treaty” coinage, the wording includes his title as King of France. And, in truth, why have I got the coins at all? They are attractive to look at and usually I keep them in a display case. But what I really enjoy doing is to take them out of the case (though not out of their little protective wallets), and hold them in my hand. Some of them are in excellent condition, and so maybe weren’t all that much used, but others are quite worn and I like to imagine one of my halfpennies being passed across a market stall in return for a dozen eggs, or a penny handed to the alewife as the price of a gallon of ale, or a groat placed in the sweaty palm of a carpenter in payment for a day’s labour. That is where the pleasure lies in owning these little discs of beaten silver. I had a re-enactor friend who's a coin expert make me a 'mark of silver' 12th century style. I keep it in a replica wooden box - all 160 silver pennies. It's great to have that visual of how many coins a single mark was actually composed and what it looked like. I can imagine that having the 'real deal' in your hands is a wonderful connection to the past! 160 little silver discs must look very splendid! 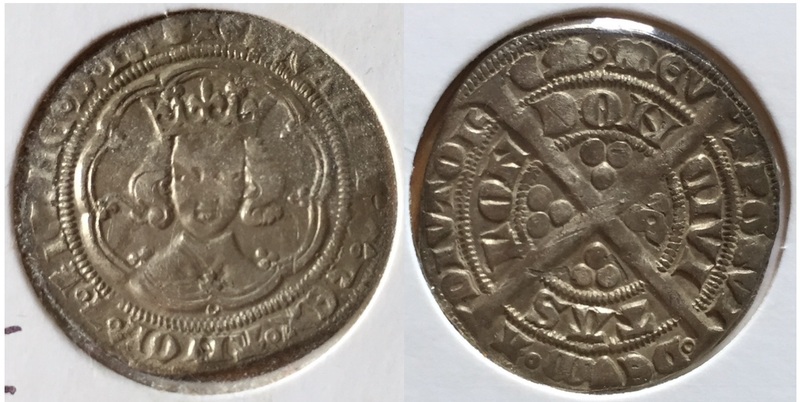 But, yes, although I can of course never know if any of my “real deal” coins were actually used, I do like to ponder on whose hands - quite possibly rather grubby - might have handled them 650 years ago!